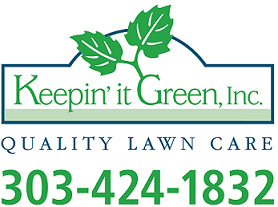 Landscaping And Lawn Care Tips For Homeowners - Keepin' It Green Inc.
One of the best factors that help increase a property’s value is having a lovely landscape. Aside from this, having a lovely landscape also provides several benefits and advantages. It can serve as a place for relaxation and recreation. It can actually help you earn money, especially if you have a massive property that can be used as an events venue. And three, it can improve the overall temperature in the area; places with lots of trees and foliage are a great refuge from the heat of the summer. And because of this, a lot of homeowners are opting to have their own landscaped lawns. If you are among these people and you want to harness all these benefits, it’s important to direct your attention toward lawn care. Most lawn care experts say that such professional services are a smart investment, but if you don’t wish to spend a lot of money on these, there are also things that you can do on your own to preserve or enhance the appearance of your landscaped outdoor space. Keep the edges of your lawn clean. Nothing beats the appearance of a well-manicured turf. You can use garden shears to trim the edges to create sharp, clean lines or you can purchase an edger that can get the job done much faster. Professionals in lawn care also advise turning over your soil, especially when you intend to introduce new plants to your landscape. Fresher soil is underneath the surface – it has more moisture and is better nourished, and as such can help your plants grow more fully. Doing this is very beneficial especially if you’ve been seeing bare spots in your lawn. This will uncover potential causes such as big clumps of dirt, stone or even grease that may have spilled when you decided to fix your bike or mower on the lawn.